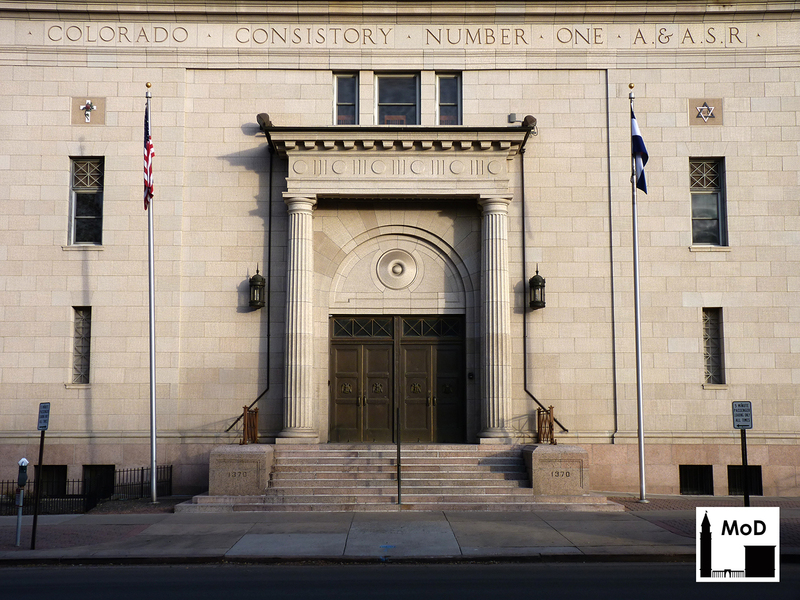 Although I haven’t blogged much in the past few months, I have been busy taking photographs and stumbling across incredible masonry buildings in Denver and the Front Range. 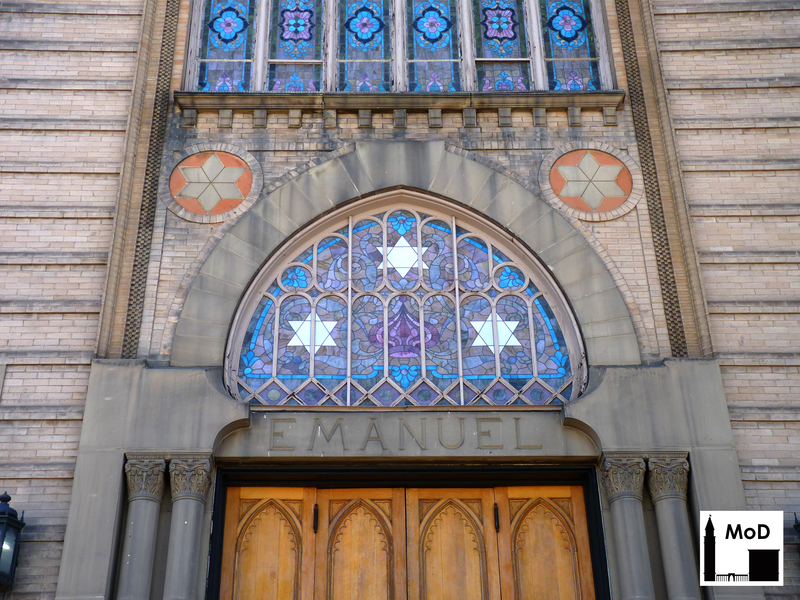 Take Temple Emanuel, for example, in Denver’s Uptown neighborhood. 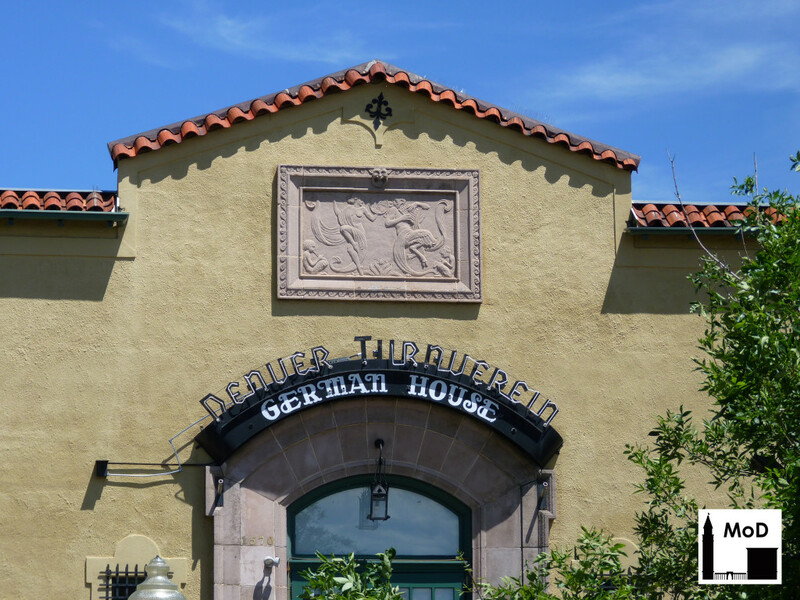 The former Temple Emanuel synagogue at 16th Ave and Pearl Street was once the home of Denver’s oldest Jewish Congregation. 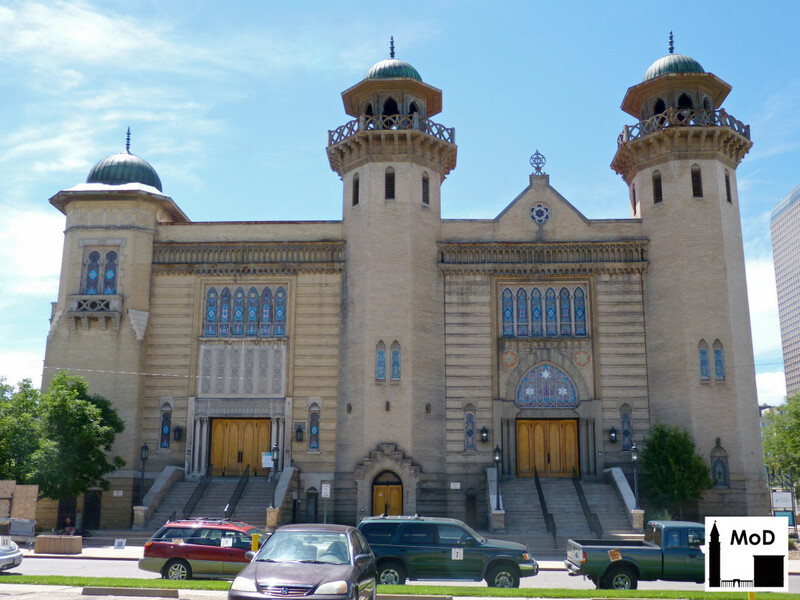 Originally constructed between 1898 and 1899 with a large addition in 1924, Temple Emanuel is reportedly the only Moorish- and Turkish-Revival style synagogue in Colorado (according to the building’s National Register nomination [pdf]). 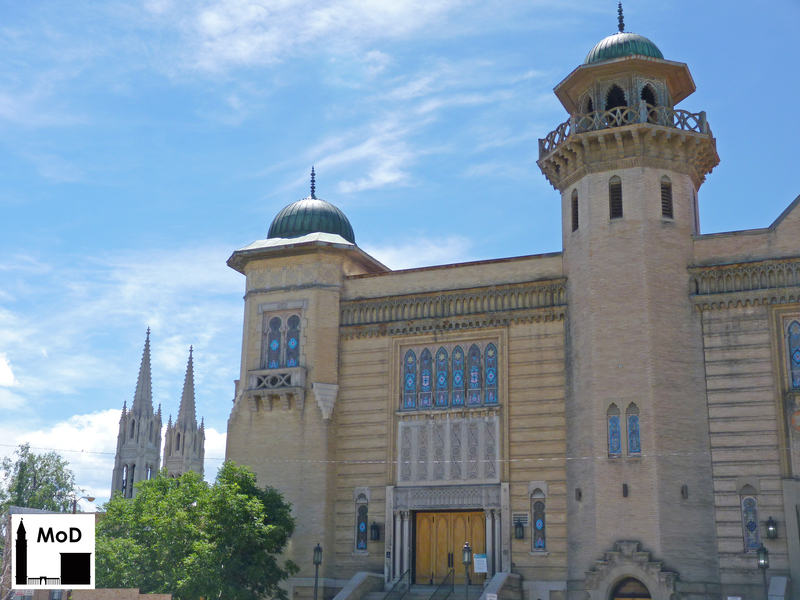 Designed by architect John J. Humphreys of Wendell & Humphreys Architects, the original portion of the building includes the raised entrance and two Turkish-style towers. 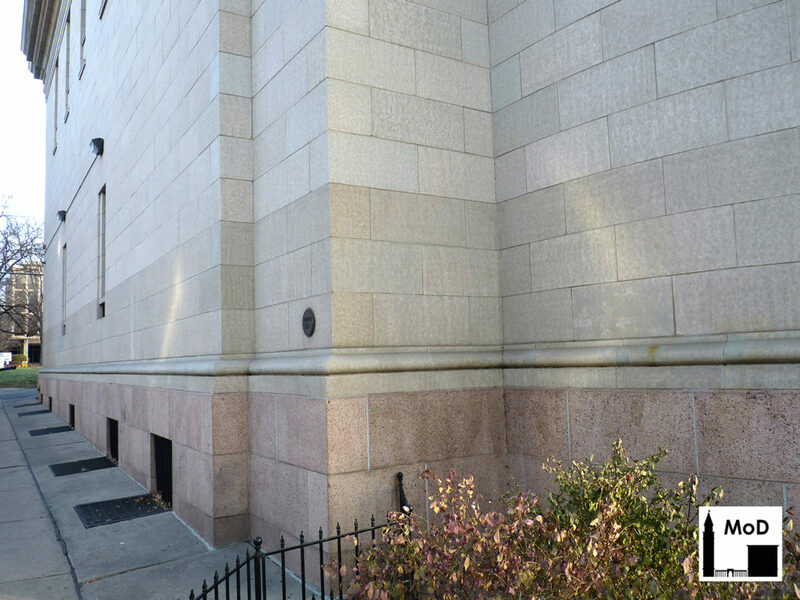 The synagogue was constructed using simple buff brick, but laid with a projecting horizontal stripe pattern at the front facade on Pearl Street. 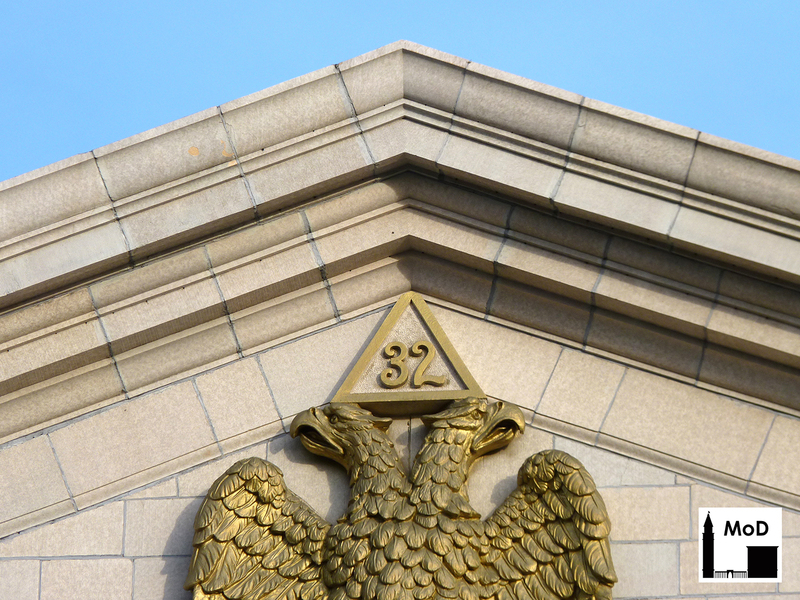 I am fond of the complexity of the masonry at the entrance. The carved wooden doors are framed by paired stone columns with ornate capitals, and smooth-cut buff stone, which is possibly a sandstone but more likely is Indiana limestone. 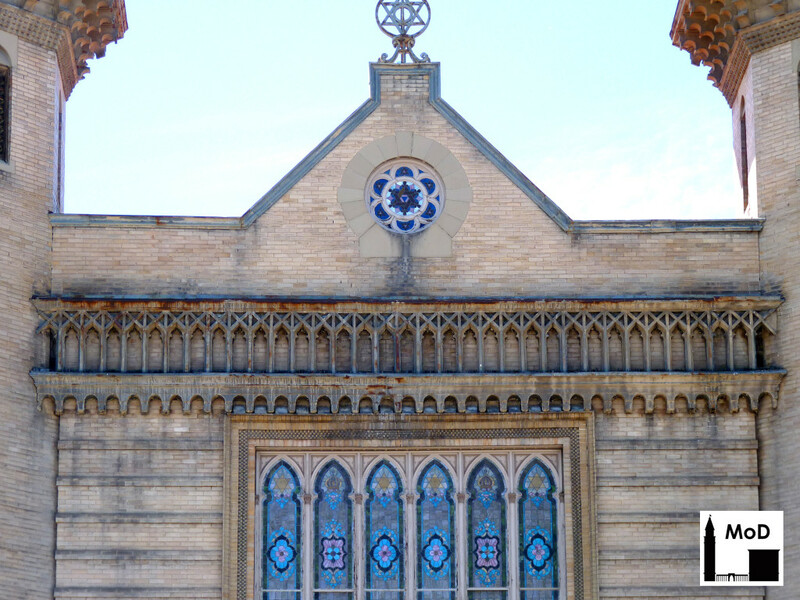 A Moorish-style arched, leaded-glass transom rises above the stone lintel on which the synagogue’s name is carved. More smooth-cut stone and buff brick surround the pointed, horseshoe-arched transom, and two rondels flank the top of the entry arch. These rondels contain inset Stars of David that were probably made of limestone and painted stucco or glazed tiles. Rising above the entrance and transom are six thin leaded-glass windows that also have Moorish-style influences in their shape and motifs. The entire window and door enframement is then surrounded by two types of molded brick, one with a checkerboard pattern and another with an ogee frame. 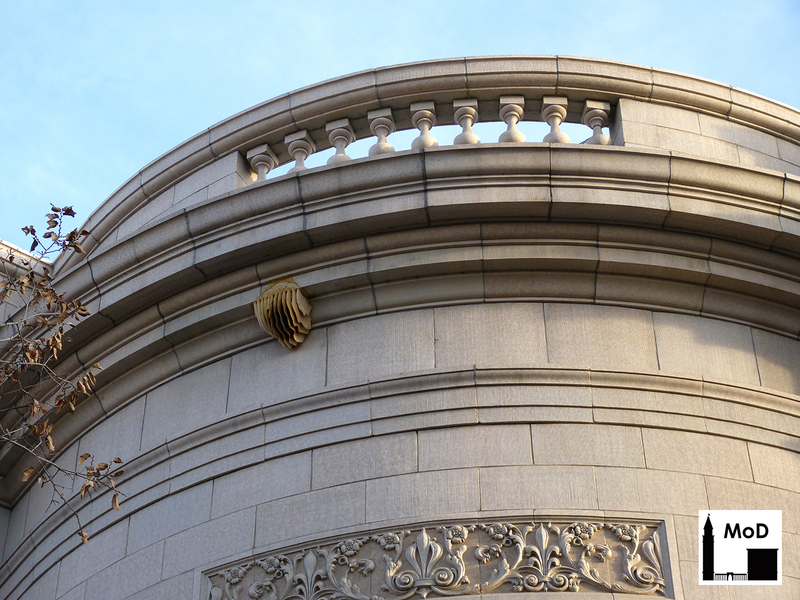 The top of the building has an ornate, applied metal cornice, and a rose window in the parapet. Unfortunately, extensive soiling of the masonry accentuates the horizontal stripe pattern of the brick and makes the stone surrounding the entrance look grayer than it originally would have. The metal cornice is also severely deteriorated, with extensive corrosion evident especially at the top left side in the photo above. Two Turkish-style minaret towers flank the original portion of the building. These octagonal towers were built with buff brick and have thin horizontal openings capped by pointed arches. I originally thought the top of the towers were made of carved stone, but upon closer inspection, I realized that like the cornice, they are made of molded sheet metal. Corrosion has taken its toll and some of the ornament is lost and several railings are displaced. 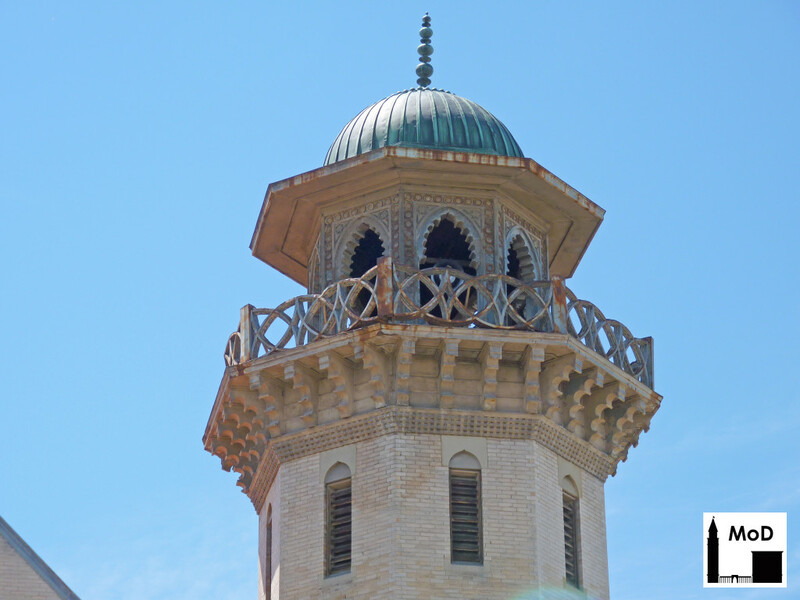 However, the original form of the minarets is still quite legible despite the deterioration. The large addition to the south of the building was constructed in 1924 and nearly doubled the size of the synagogue. The addition was designed by Thielman Robert Wieger, an apprentice of Humphreys’, who gave the addition an architectural style nearly identical to the original building. Seen above with the paired spires of the Cathedral of the Immaculate Conception at the left, the addition can be differentiated from the original by its shorter tower and its ever-so-slightly more modest entrance. 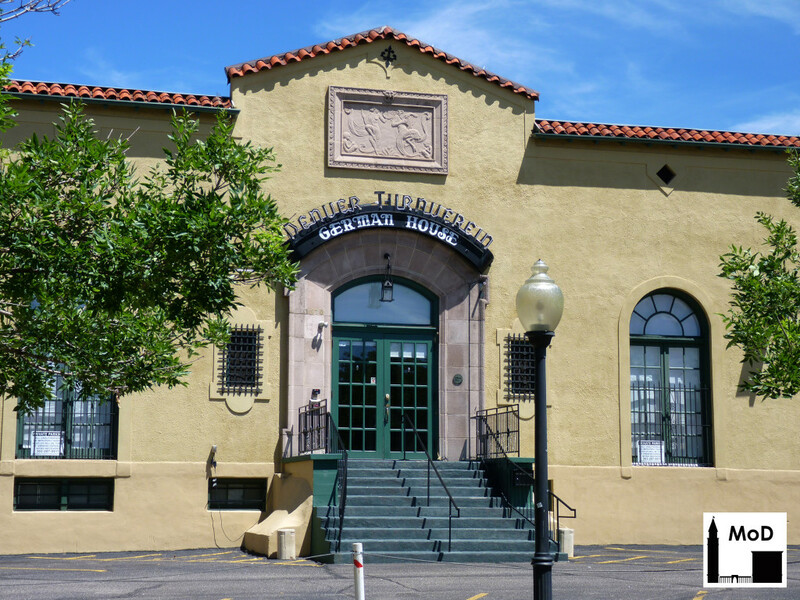 The Denver Public Library has two wonderful photographs of the building taken before and after the construction of the addition to help you understand the construction chronology of the building. 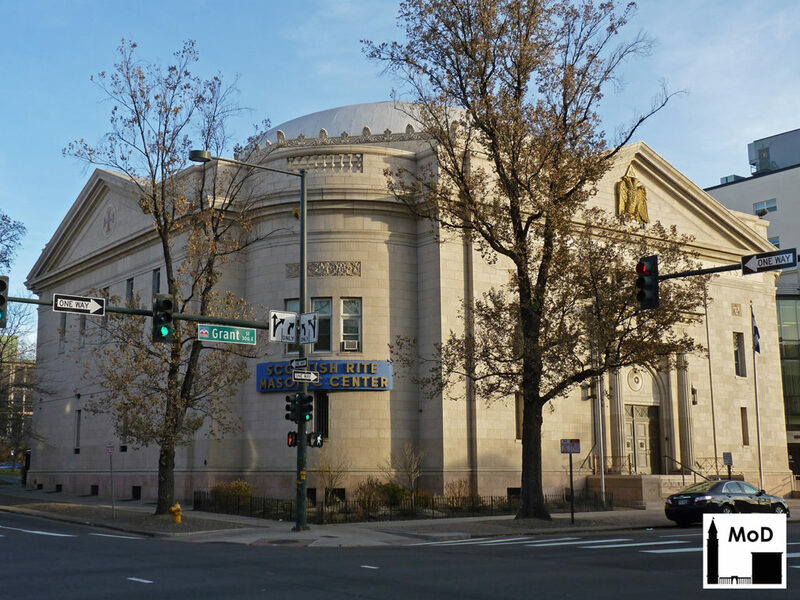 The synagogue was the third home of Congregation Temple Emanuel, Denver’s oldest Reform Jewish congregation [pdf]. It was constructed at the southwest corner of 16th Avenue and Pearl Street after a fire destroyed the congregation’s second synagogue at 24th and Curtis Streets in 1897. Members of the congregation in the late 1800s included the political, economic and cultural elite of Denver, including Simon Guggenheim, who became a U.S. Senator; Philip Trounstine, Denver’s first fire chief; John Elsner, who founded Denver’s first hospital; and David May, proprietor of May’s Department Store. Congregation Temple Emanuel used the synagogue until 1957, when they sold the building to the First Southern Baptist Church. Later congregations who used the building include the LovingWay Pentecostal Church and Pathways Church. 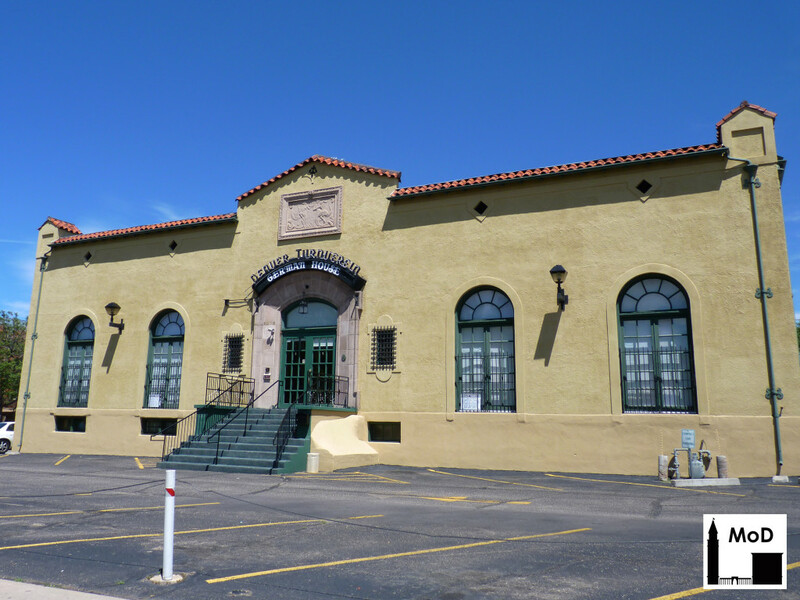 The building is now owned by the Denver Community Church.